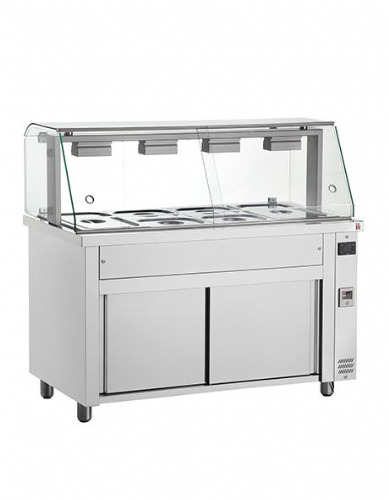 APW Wyott Hddi-2 warming drawer is designed to keep products at optimum serving temperaure, allowing food to be pre-prepared and ready for serving. As it uses 1/1gn containers it can be used in conjunction with combi ovens and other applinces using the gastronorm format. Supplied with 4" legs - can be supplied with castors please contact our sales office.